Finally. It has happened. No, it's not world peace nor have Chinese restaurant washrooms become clean enough where we can walk barefoot. Rather, my Friday night hockey games are starting at a reasonable hour. That in turn means we can actually go eat at most restaurants afterwards. So for the time being, no more wonton noodle joints, 24-hour "last resort" restaurants and generally sub-standard food. However, despite our earlier games, some restaurants remain out of our reach due to their relatively early closing times (on a Friday no-less). Originally, we were planning on hitting up Bob Loves Thai Food (which has been on our to-eat list forever), but they close at 9:00pm. Not only does this prevent us from going after Friday hockey, that time never worked for our Softball team either since our games ended at around 8:30pm. 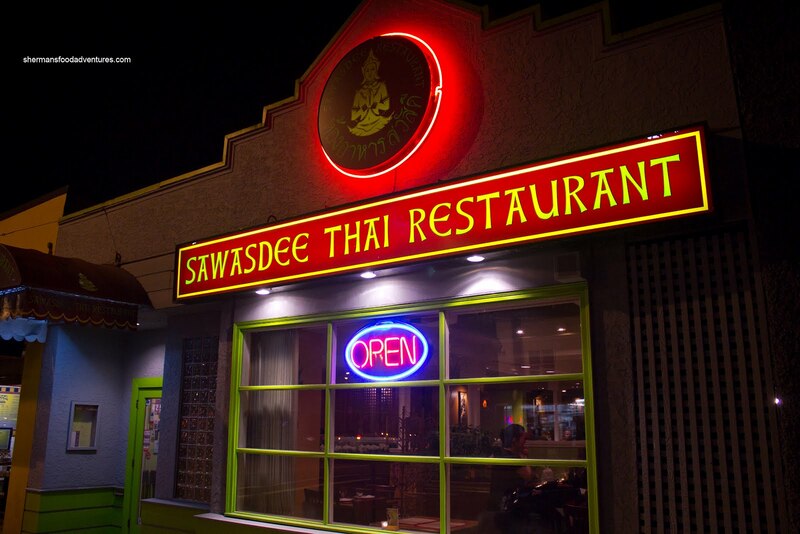 So as a second choice of sorts, we ended up heading to Sawasdee Thai. Long considered an above-average Thai restaurant in Vancouver, Sawasdee changed hands not long ago and the reviews have been mixed. With 6 people, this was a good way to see for ourselves if the food was up to snuff. Actually, we almost lost Milhouse since he separated his shoulder during the hockey game. However, he was a gamer. Despite this, he was able to come out to eat since he didn't need his shoulder to chew. He did leave a trail of water on the restaurant floor as his ice pack leaked. For those not in the know, it appeared he had a bladder issue... Okay. Onto the food, we started with the Chicken Satay. There was a decent amount of moist breast meat on the skewers. It was well-seasoned and the char marks added a nice flavour. However, we were not impressed with the dip as it was very sweet and overwhelmed the chicken. The side of cucumbers did add some brightness but they were curiously bland. Our second appie was the Spring Rolls which were very large and stuffed with bean thread and mushroom. These were fried up beautifully crisp and none-too-oily. The filling was slightly dry, yet properly seasoned. Again, the dip was quite sweet and we only used it conservatively. 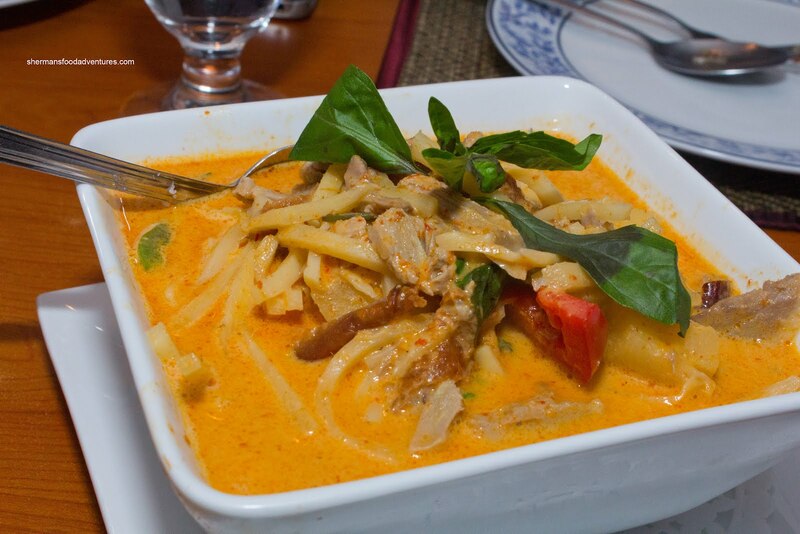 For our mains, Emilicious chose the Roasted Duck Curry which was a fan favourite. 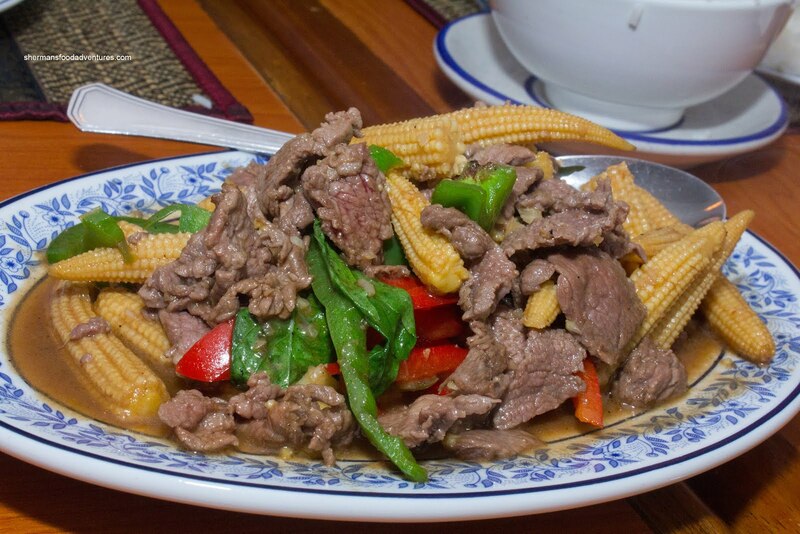 Served in a large square bowl, there was an abundance of tender duck slices, bamboo shoots, peppers, tomatoes, basil and pineapple. 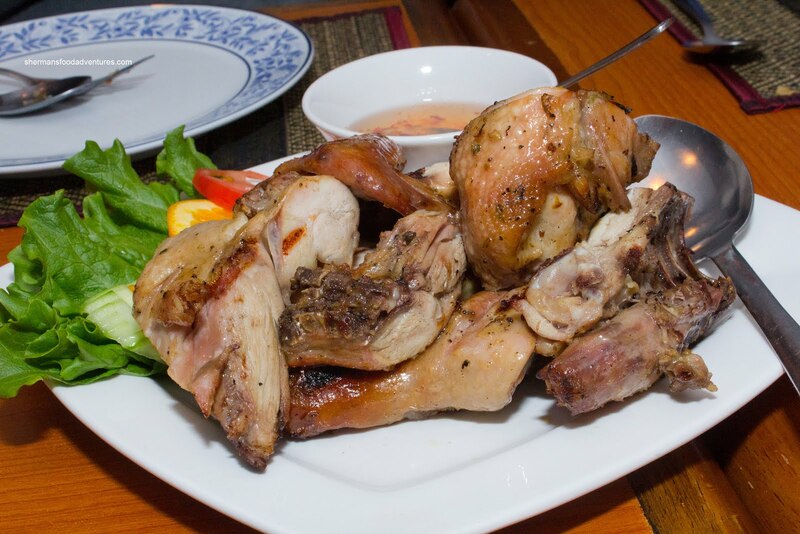 We liked how there were no duck bones, which made the eating experience that much better. Flavourwise, the curry was smooth, sweet and only mildly spicy (as per the table's request, if it were up to me solely, I'd go for super hot!). 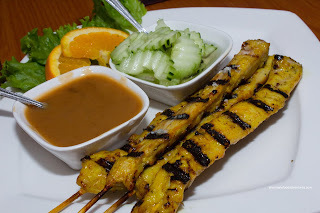 The dish I chose was the Gai Yaang (Thai-style BBQ Chicken). The chicken was served in large pieces which ranged from moist and tender to dry and dense. It really depended on whether one got the dark meat or the white meat. With that being said, the white meat wasn't inedible, it was just not juicy. The chicken was pretty mild on its own, however, the accompanying sauce added the necessary flavour. It was mostly sweet with some zing and spice. Sweet Tooth originally wanted some red curry dish but since we already had the duck red curry, she settled on the Gai Pad Ma Khua. This was a stir-fry consisting of eggplant, chicken, peppers, basil and black bean. 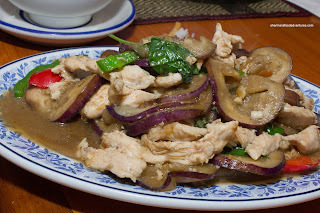 It was mostly mild and predominantly sweet with nicely texture eggplant which was not mushy nor "styrofoamy". The chicken, on the other hand, was quite dry and lacking in flavour. Due to liberal use of palm sugar, the black bean was not even noticeable, as with the basil. Next was the Pad Kee Mao which was another stir-fry dish of beef, baby corn, peppers, basil and fresh chili. Although the dish looked vibrant and appealing, the beef was nothing but. It was dry, chewy and barely edible. The rest of the dish was fine with crisp veggies and a solid basil hit. Much like the other dishes, there was no holding back in the use of sugar. 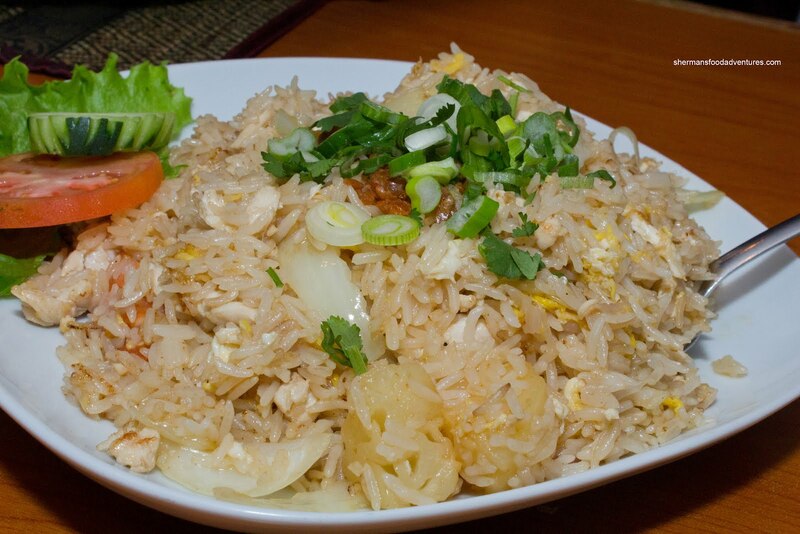 As for the starches, we got the Pineapple Fried Rice and a Traditional Pad Thai. The fried rice consisted of onion, tamato, egg, pineapple and dried shrimp. The rice itself was slightly wet, yet that was o kay considering the ingredients. Again, common to the entire meal, the rice was pretty sweet. We were a bit indifferent with it. 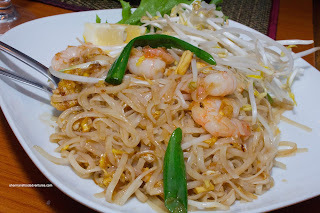 The Traditional Pad Thai was on the paler side, yet that was expected since we chose the tamarind version over the ketchup/sweet chili sauce type. Texturally, the noodles were good being chewy and not wet. The shrimp had a good snap texture while there was a curious absence of ground peanuts. We were expecting a touch more tang in this and once again, it was predominantly sweet. This was acceptable, but had the potential to be much better. Overall, we were satisfied with our meal despite various issues. One thing that we all agreed on was the level of sweetness of the food - it was excessive. Now, this might have had something to do with us requesting a mild spice level, which would allow for other flavours to be more prominent. 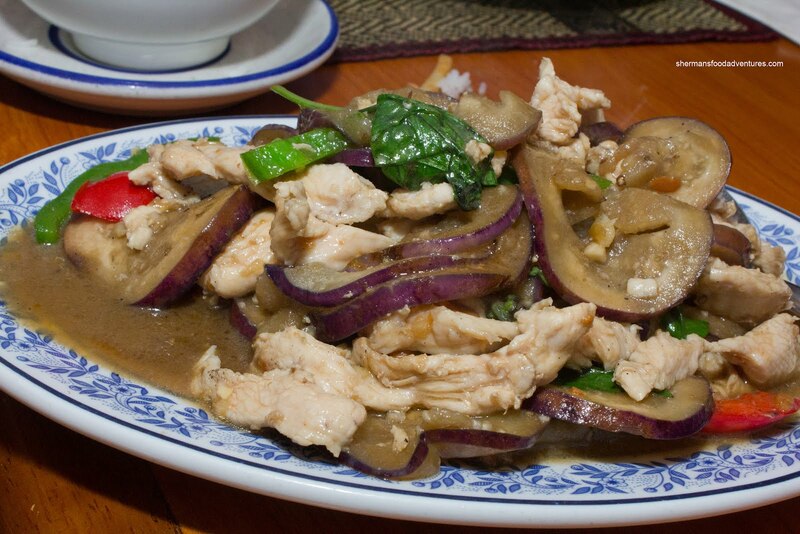 Bottom line is we've had better Thai food before. 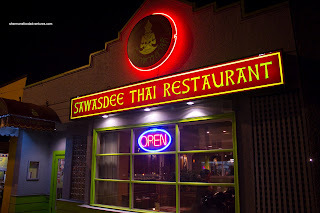 Yet, Sawasdee does the job for a reasonable price with decent portions in a relatively nice dining space. a) When they were first opened, it was more "authentic" compared to *cough*Thai House*cough*. 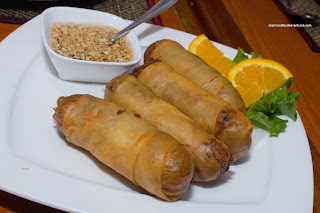 b) Nowadays, there are newer offerings (Bob Likes Thai, Thai Basil, et al) that challenges people again with other offerings. Of course, you can say they have actually declined because people demand certain dishes done their way, despite it ain't necessarily the "correct" way. In the end, at least, it wasn't a total loss and the food was edible.